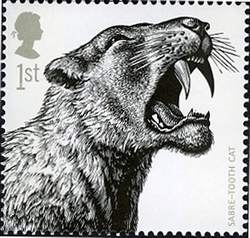 United Kingdom 2006 "Ice Age Animals"
The Royal Mail have launched a special set of new stamps featuring hairy - and scary - from the ice age which began around 2 million years ago. 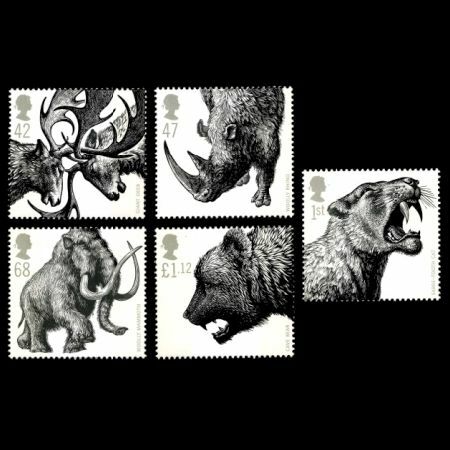 The set features the giant deer, sabre tooth cat, woolly rhino, cave bear, and woolly mammoth. 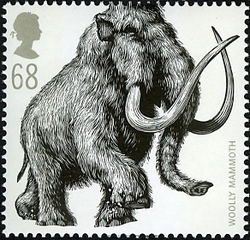 Remains of all of the creatures have been found across the UK, including a woolly rhino fossil under London's Battersea Power Station and a woolly mammoth under The Strand in London. 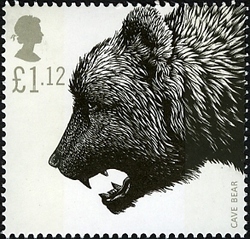 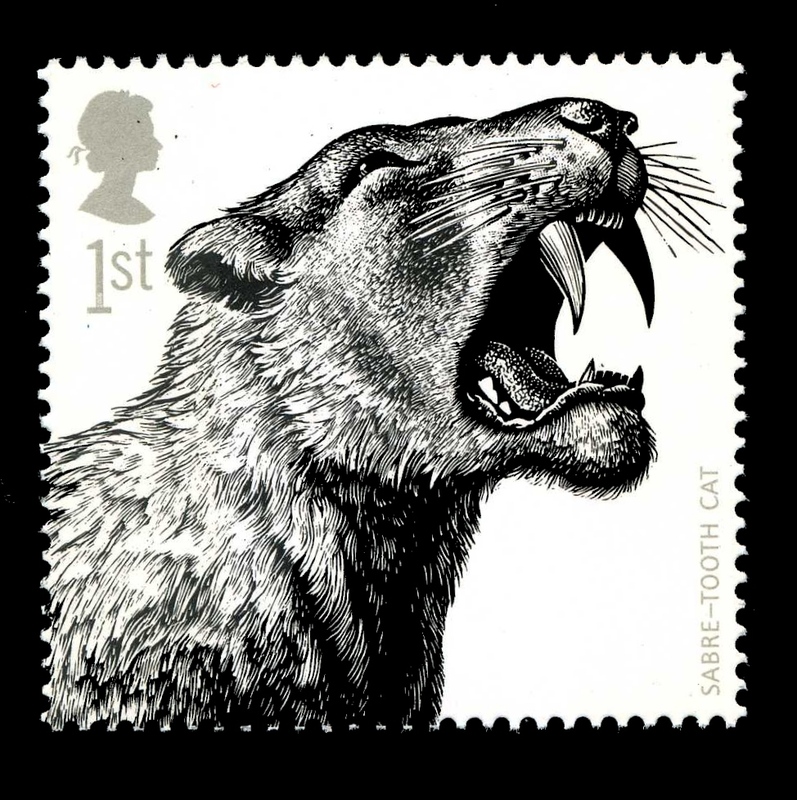 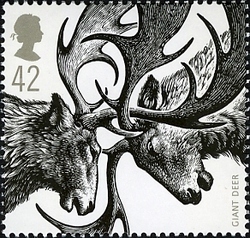 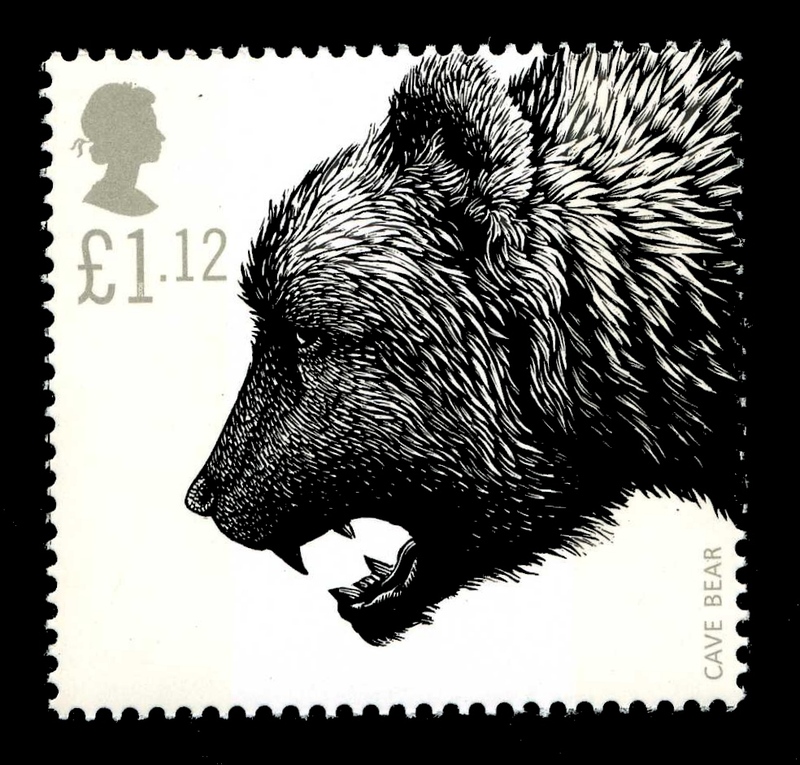 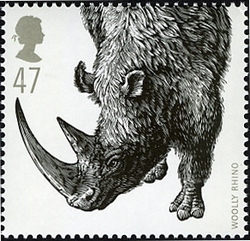 The Royal Mail worked with the Natural History Museum to produce the stamps and the beautifully detailed engravings are the work of Andrew Davisdson. 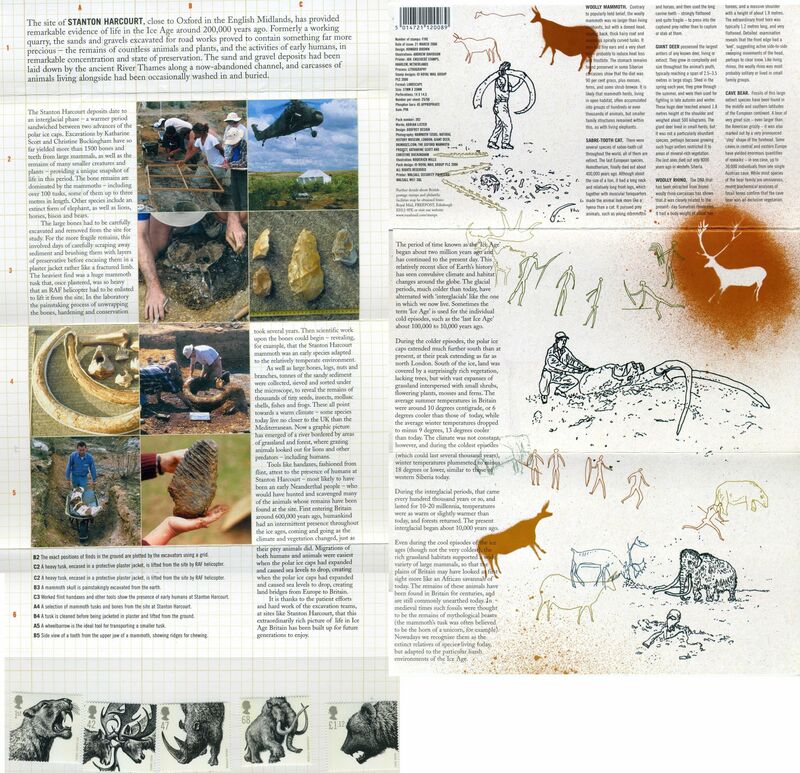 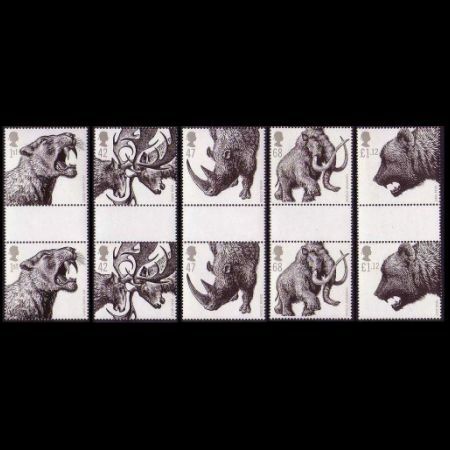 Andy Currant, Ice Age Mammals expert at the Natural History Museum, said 'we're discovering new evidence about the Ice Age all the time, and it's fantastic that the stamps show the public some of the animals that roamed these shores.' 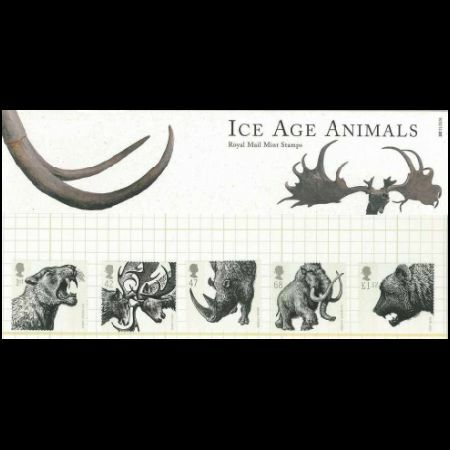 'At the Natural History Museum we have the best collection of Ice Age mammal fossils in the UK and, working with experts from other institutions, we're using our resources to try to put together this piece of unwritten history'. 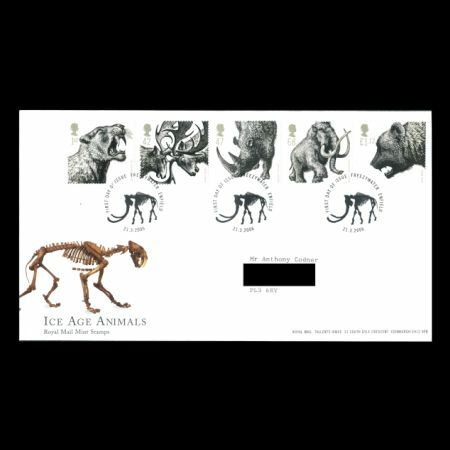 The creatures were reproduced into spectacular ice sculptures for the launch of the stamp set at the Natural History Museum. 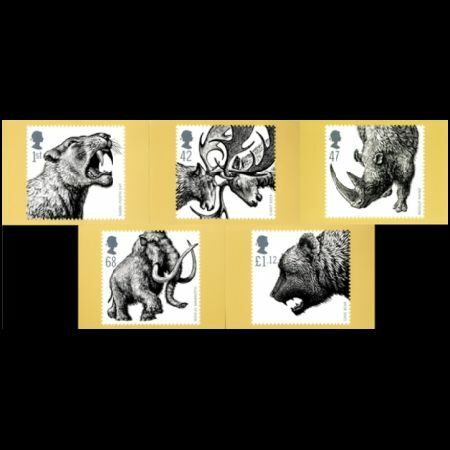 Royal Mail's Head of Special Stamps, Julietta Edgar, said: "I'm delighted that millions of people will get the chance to see some of these amazing animals once again, but this time from the safety of a stamp!" 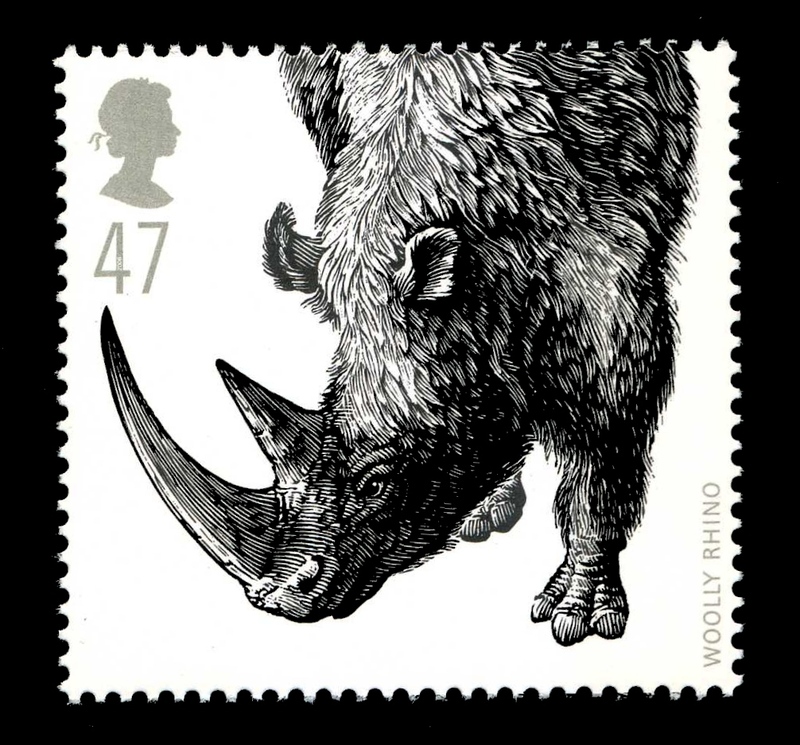 Creatures from different time periods are just one of many things depicted on the stamps you will find in a philatelists collection. 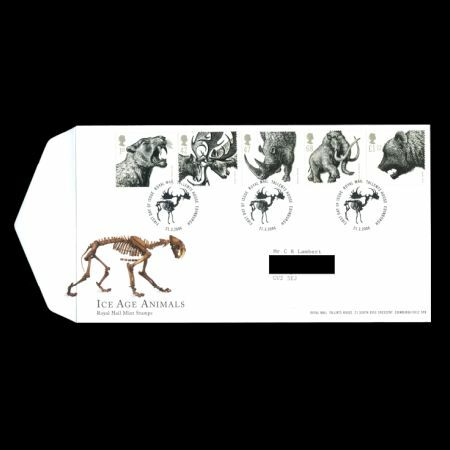 Some stamp collectors have collected so many of these stamps over the years that modifications to their home or office may be necessary to not only store but to properly display their stamp collection. 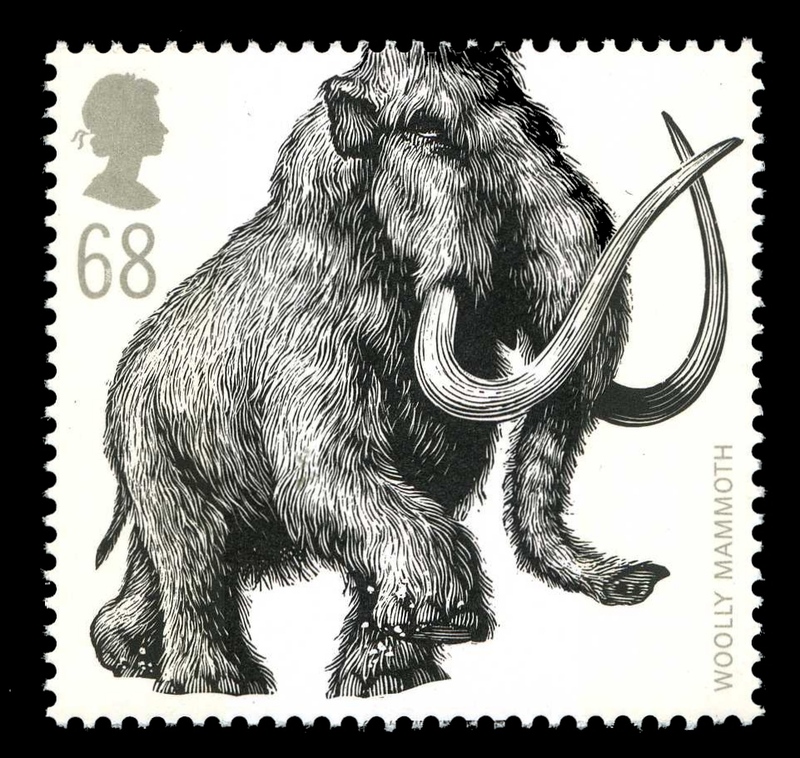 Collectors may turn to a Home Advisor or other specialist to make an changes or improvements to their home to accommodate their large and growing collections. 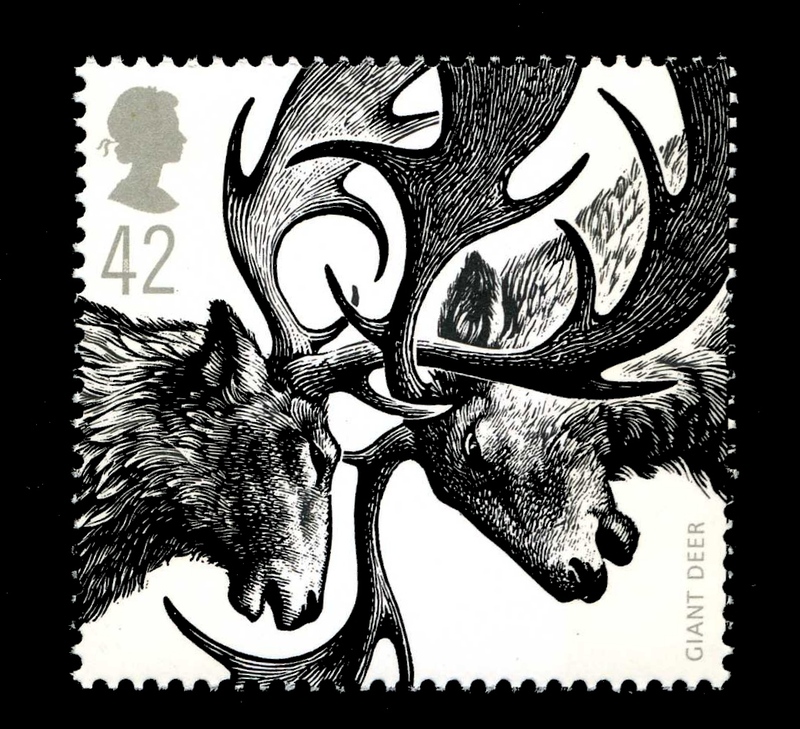 As an alternative to the Tallents House, Edinburgh postmark, pictorial and non-pictorial (plain design) FREEZYWATER, ENFIELD postmarks will also be available for this issue. 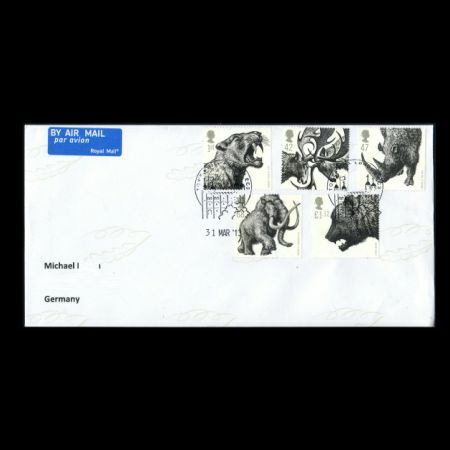 All First Day Covers obtained from Post Offices will bear the pictorial FREEZYWATER, ENFIELD postmark.